Available at Amazon, Auntie’s Bookstore, 2nd Look Books. Wally is an Emperor Penguin from Antarctica who is always cold. When Wally learns about the Galapagos Islands, he immediately sets sail in search of warm weather and discovers an amazing world of tap-dancing crabs, racing hundred-year-old tortoises and diving birds with bright blue feet. Well-suited for children aged 3 – 5, Wally the Warm-Weather Penguin is a vibrantly illustrated, rhyming picture book which makes a charming addition to any child’s library. Plus, the book can be a wonderful classroom activity to supplement segments about penguins, Antarctica or the Galapagos Islands. This paperback edition includes a section of Fascinating Facts about the animals Wally meets in the Galapagos Islands as well as a map of the Galapagos Islands. 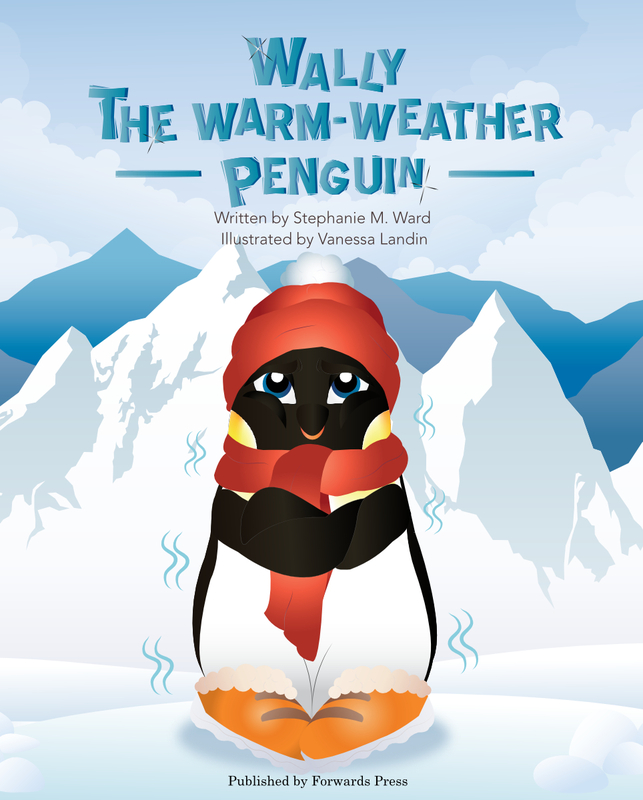 The Kindle ebook edition of Wally the Warm-Weather Penguin is optimized for tablet devices to best display the brilliant illustrations and is available to be read through free Kindle Reading Apps on the most popular devices including iPad, iPhone and tablets. The ebook edition is available on Amazon sites worldwide. Come along with Wally the Warm-Weather Penguin on his adventure to the Galapagos Islands and meet the unique animals that live in this very special place. Thank you for your interest and I hope you enjoy reading Wally the Warm-Weather Penguin. Wally the Warm-Weather Penguin can be included in classroom or home learning environments touching upon subjects such as geography, science, animals and conservation. The activities listed below are just a few ideas to help integrate the book into various programs and age groups. Stay tuned for more activities that will be added over time. This adorable Marine Iguana can be easily made in a matter of minutes with common supplies – construction paper, scissors, glue and markers. If pressed for time or working with young children, the pieces can be cut out ahead of time, then simply assembled and customized. Click here for a full-color PDF with helpful photos and step-by-step instructions: DIY Marine Iguana. 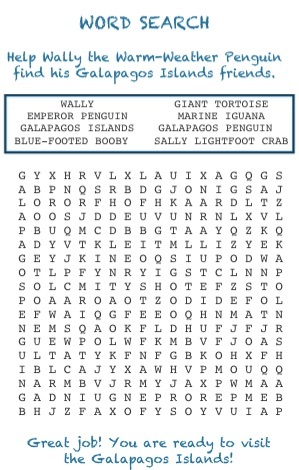 A simple excercise to aid in the retention of the unique wildlife in the Galapagos Islands, this word search includes all of the characters from Wally the Warm-Weathe Penguin. Click here for a printable, PDF copy of this Galapagos Word Search. Facts, photos and videos about the animals that Wally the Warm-Weather Penguin meets on his adventures. Ever wonder how penguins in the Galapagos Islands keep from getting too hot? This video explains the fascinating tricks these clever penguins use to adapt to the warm weather. Galapagos Island Penguins are one of the smallest penguins in the world, standing only 19 inches (49 cm) high and weighing up to 5.5 pounds (2.5 kg). They eat small fish, such as sardines, and spend the days swimming in the ocean or trying to stay cool on land. 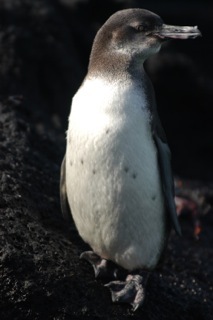 Galapagos Penguins are the only penguins that live in the wild north of the equator. They are an endangered species, only about 2000 were counted in the last census. 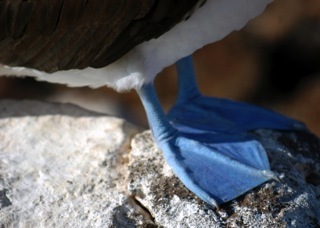 Blue-Footed Boobies are named after the color of their distinctive blue feet. The male birds find mates by dancing to show off the color of their feet. Boobies grow up to 34 inches (85 cm) tall and weigh up to three pounds (1.5 kg) with wing spans up to five feet (1.5 m). They can dive from over 80 feet (24 m) into deep water to catch fish. Marine Iguanas are found only in the Galapagos Islands. They can grow to be over 5.5 feet (1.7 m) long and weigh over three pounds (1.5 kg). Compared to other lizards, they have the unique ability to dive over 30 feet into the water. Marine Iguanas can be found swimming in the ocean and sunning themselves on lava rocks on the beach. Giant Galapagos Tortoises are the largest tortoises in the world. They can grow to over five feet long (1.5 m) and weigh over 500 pounds (225 kg). Plus, they can live to be over 100 years old. Giant Galapagos Tortoises walk about a quarter of a mile per hour (less than one-third of a meter per hour). Sally Lightfoot Crabs can be found in many colorful combinations ranging from red, blue and yellow to brown and pink. They can move quickly in any direction making them difficult to catch. 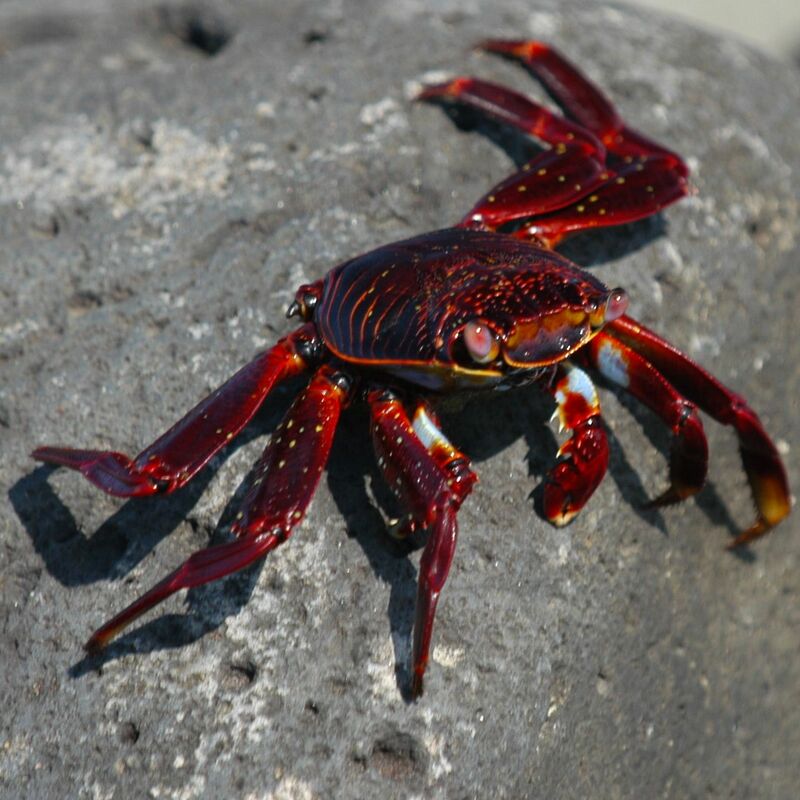 Although they can swim for short distances, Sally Lightfoot Crabs can cling to rocks in rough seas, jump to calmer spaces or seemingly skate across small pools of water. Many of the unique animals in the Galapagos Islands are endangered. A portion of the proceeds from sales of Wally the Warm-Weather Penguin will be donated to conservation efforts. 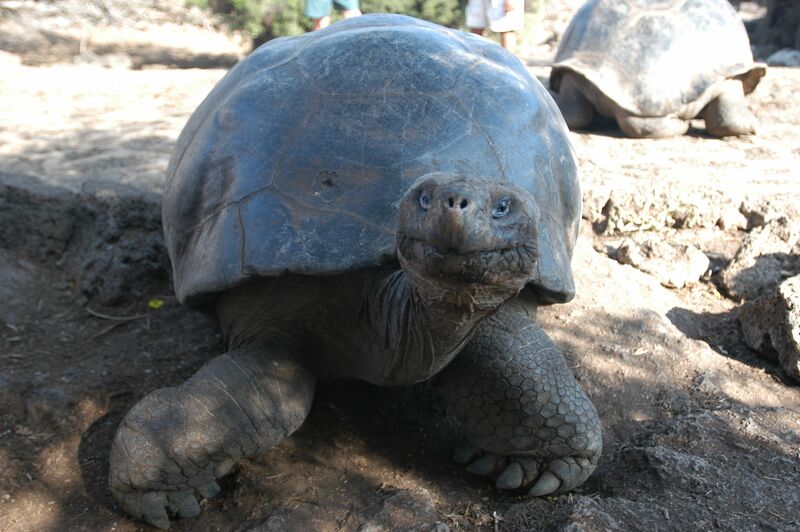 For more information about the Galapagos Islands, visit the Galapagos Conservancy at http://www.galapagos.org. Vanessa is a graphic designer and illustrator based in Guayaquil, Ecuador. Her creative work on Wally the Warm-Weather Penguin has brought the animal characters from both Ecuador and Antarctica to life in a distinctly modern, yet warm and thoughtful way. Her vast skills as an artist have contributed to many projects for PROECUADOR, POLIGRÁFICA C.A. and Enjoy Media Group. For more information and samples of Vanessa’s broad range of designs and illustrations, visit http://www.elance.com and view her portfolio of work. Click to view Wally’s trailer.